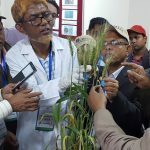 Scientists inspecting plants for wheat blast infection, at a workshop in Bangladesh in February 2017. Photo: Chris Knight-Cornell. 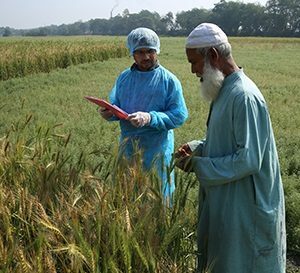 DHAKA, Bangladesh (CIMMYT) — As wheat farmers in Bangladesh struggle to recover from a 2016 outbreak of a mysterious disease called “wheat blast,” the country’s National Seed Board (NSB) released a new, high-yielding, blast-resistant wheat variety, according to a communication from the Wheat Research Centre (WRC) in Bangladesh. Called “BARI Gom 33,” the variety was developed by WRC using a breeding line from the International Maize and Wheat Improvement Center (CIMMYT), a Mexico-based organization that has collaborated with Bangladeshi research organizations for decades, according to Naresh C. Deb Barma, Director of WRC, who said the variety had passed extensive field and laboratory testing. “Gom” means “wheat grain” in Bangla, the Bengali language used in Bangladesh. “This represents an incredibly rapid response to blast, which struck in a surprise outbreak on 15,000 hectares of wheat in southwestern Bangladesh just last year, devastating the crop and greatly affecting farmers’ food security and livelihoods, not to mention their confidence in sowing wheat,” Barma said. 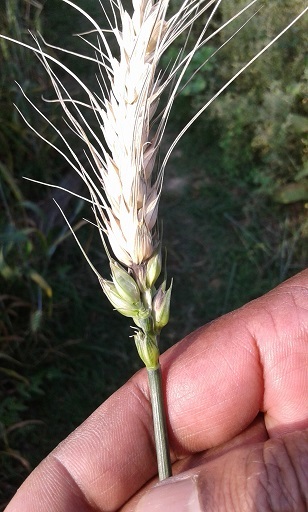 Caused by the fungus Magnaporthe oryzae pathotype triticum, wheat blast was first identified in Brazil in 1985 and has constrained wheat farming in South America for decades. Little is known about the genetics or interactions of the fungus with wheat or other hosts. 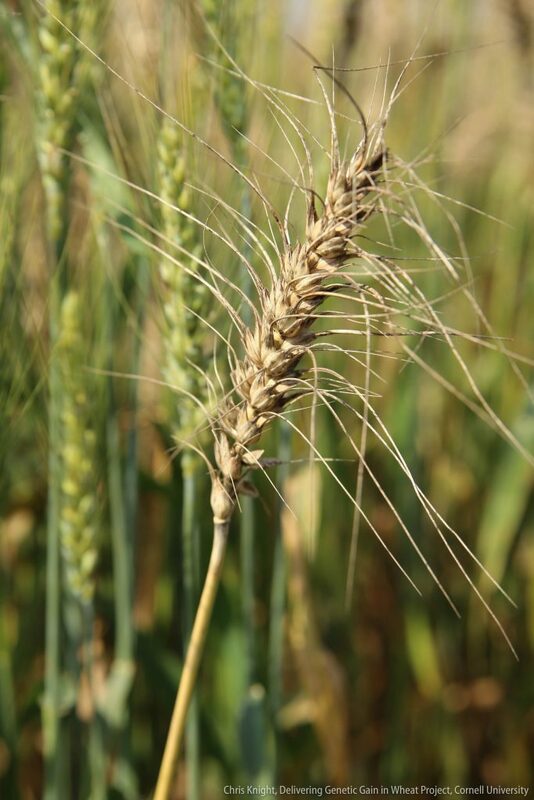 Few resistant varieties have been released in Brazil, Bolivia and Paraguay, the countries most affected by wheat blast. The Bangladesh outbreak was its first appearance in South Asia, a region where rice-wheat cropping rotations cover 13 million hectares and over a billion inhabitants eat wheat as main staple. Many blast fungal strains are impervious to fungicides, according to Pawan Singh, a CIMMYT wheat pathologist. 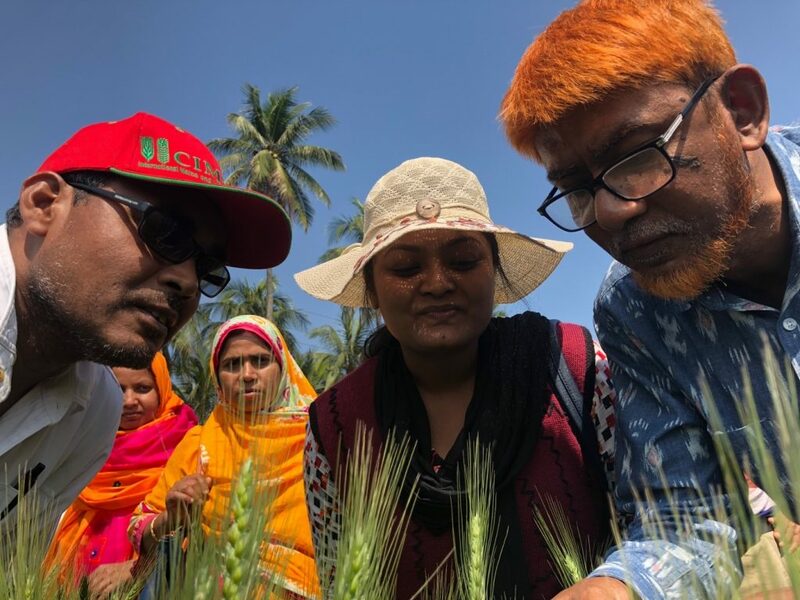 “The Bangladesh variant is still sensitive to fungicides, but this may not last forever, so we’re rushing to develop and spread new, blast-resistant wheat varieties for South Asia,” Singh explained. 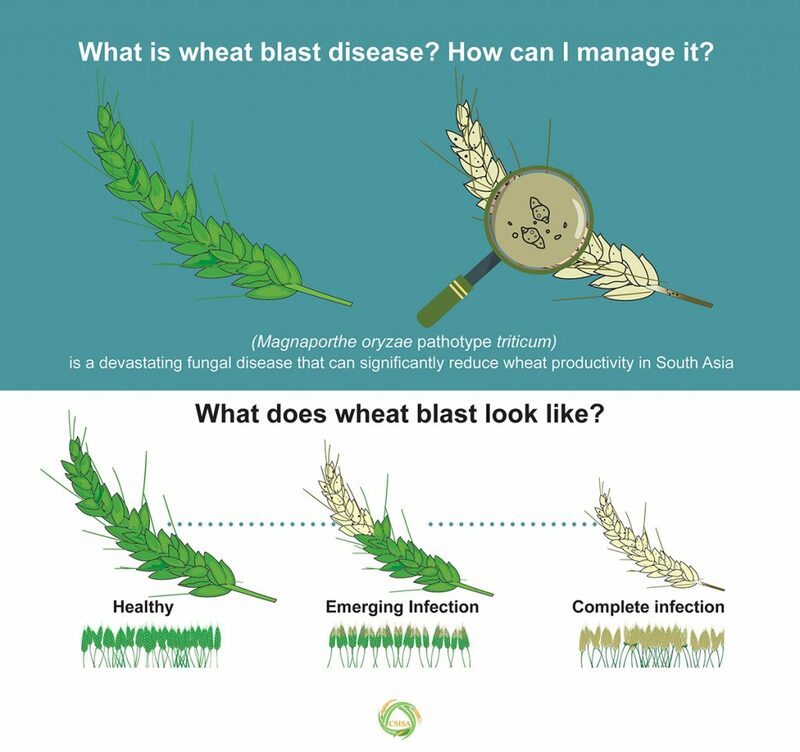 The urgent global response to blast received a big boost in June from the Australian Centre for International Agricultural Research (ACIAR), which funded an initial four-year research project to breed blast resistant wheat varieties and the Indian Council of Agricultural Research (ICAR), which also provided grant to kick-start the work in South Asia. Led by CIMMYT, the initiative involves researchers from nearly a dozen institutions worldwide. 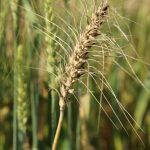 Chemical controls are costly and potentially harmful to human and environmental health, so protecting crops like wheat with inherent resistance is the smart alternative, but resistance must be genetically complex, combining several genes, to withstand new mutations of the pathogen over time. Key partners in the new project are the agricultural research organizations of Bangladesh, including the Bangladesh Agricultural Research Institute (BARI), and the Instituto Nacional de Innovación Agropecuaria y Forestal in Bolivia, which will assist with large-scale field experiments to select wheat lines under artificial and natural infections of wheat blast. Other partners include national and provincial research organizations in India, Nepal and Pakistan, as well as Kansas State University (KSU) and the U.S. Department of Agriculture-Agricultural Research Services (USDA-ARS). The U.S. Agency for International Agricultural Development (USAID) has also supported efforts to kick-start blast control measures, partnerships and upscaling the breeding, testing and seed multiplication of new, high-yielding, disease resistant varieties through its Feed the Future project. BARI Gom 33 was tested for resistance to wheat blast in field trials in Bolivia and Bangladesh and in greenhouse tests by the USDA-ARS laboratory at Fort Detrick, Maryland. International partnerships are critical for a fast response to wheat blast, according to Hans-Joachim Braun, director of CIMMYT’s Global Wheat Program. “Worldwide, we’re in the middle of efforts that include blast surveillance and forecasting, studies on the pathogen’s genetics and biology, integrated disease management and seed systems, as well as raising awareness about the disease and training for researchers, extension workers, and farmers,” said Braun. With over 160 million people, Bangladesh is among the world’s most densely populated countries. Wheat is Bangladesh’s second most important staple food, after rice. The country grows more than 1.3 million tons each year but consumes 4.5 million tons, meaning that imports whose costs exceed $0.7 billion each year comprise more than two-thirds of domestic wheat grain use. WRC will produce tons of breeder’s seed of BARI Gom 33 each year. This will be used by the Bangladesh Agricultural Development Corporation (BADC) and diverse non-governmental organizations and private companies to produce certified seed for farmers. “This year WRC will provide seed to BADC for multiplication and the Department of Agricultural Extension will establish on-farm demonstrations of the new variety in blast prone districts during 2017-18,” said Barma. As an added benefit for the nutrition of wheat consuming households, BARI Gom 33 grain features 30 percent higher levels of zinc than conventional wheat. Zinc is a critical micronutrient missing in the diets of many of the poor throughout South Asia and whose lack particularly harms the health of pregnant women and children under 5 years old. 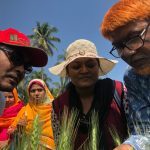 With funding from HarvestPlus and the CGIAR Research Program on Agriculture for Nutrition, CIMMYT is leading global efforts to breed biofortified wheat with better agronomic and nutritional quality traits. The wheat line used in BARI Gom 33 was developed at CIMMYT, Mexico, through traditional cross-breeding and shared with Bangladesh and other cooperators in South Asia through the Center’s International Wheat Improvement Network, which celebrates 50 years in 2018. Stable window 1 and 2 (W1W2) funding from CGIAR enabled CIMMYT and partners to react quickly and screen breeding lines in Bolivia, as well as working with KSU to identify sources of wheat blast resistance. 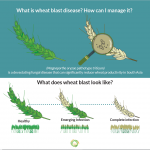 The following W1 funders have made wheat blast resistance breeding possible: Australia, the Bill & Melinda Gates Foundation, Canada, France, India, Japan, Korea, New Zeland, Norway, Sweden, Switzerland, the United Kingdom and the World Bank. The following funders also contributed vital W2 funding: Australia, China, the United Kingdom (DFID) and USAID. With backing from leading international donors and scientists, nine South Asia wheat researchers recently visited the Americas for training on measures to control a deadly and mysterious South American wheat disease that appeared suddenly on their doorstep in 2016. 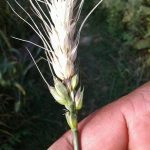 Known as “wheat blast,” the disease results from a fungus that infects the wheat spikes in the field, turning the grain to inedible chaff. First sighted in Brazil in the mid-1980s, blast has affected up to 3 million hectares in South America and held back the region’s wheat crop expansion for decades. 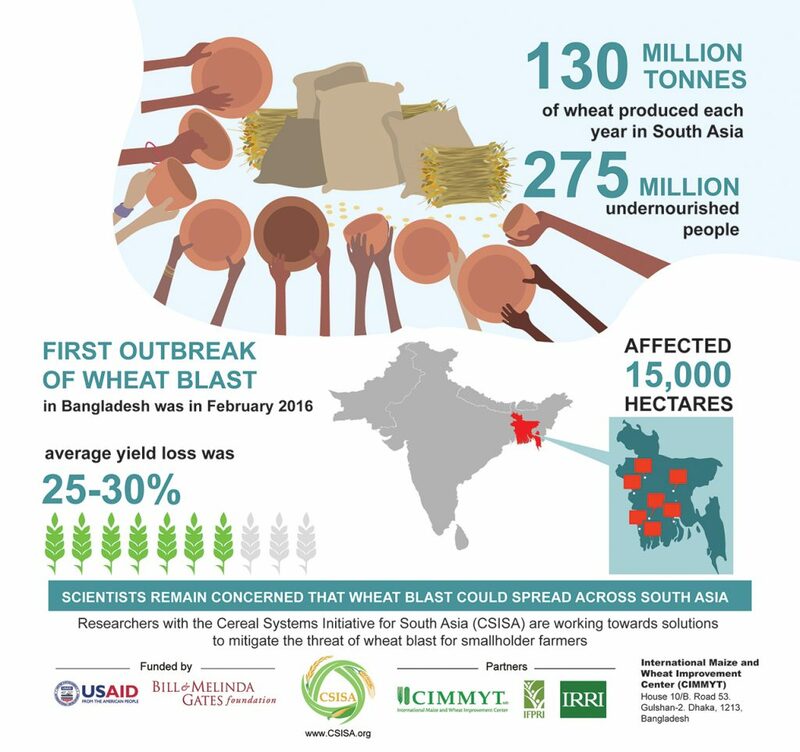 In 2016, a surprise outbreak in seven districts of Bangladesh blighted wheat harvests on some 15,000 hectares and announced blast’s likely spread throughout South Asia, a region where rice-wheat cropping rotations cover 13 million hectares and nearly a billion inhabitants eat wheat. 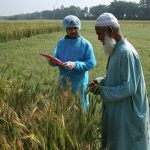 As part of an urgent global response to blast and to acquaint South Asian scientists with techniques to identify and describe the pathogen and help develop resistant varieties, Singh organized a two-week workshop in July. The event drew wheat scientists from Bangladesh, India, Nepal and Mexico, taking them from U.S. greenhouses and labs to fields in Bolivia, where experimental wheat lines are grown under actual blast infections to test for resistance. The training began at the U.S. Department of Agriculture-Agricultural Research Service (USDA-ARS) Foreign Disease-Weed Science Research facility at Fort Detrick, Maryland, where participants learned about molecular marker diagnosis of the causal fungus Magnaporthe oryzae pathotype triticum (MoT). Sessions also covered greenhouse screening for blast resistance and blast research conducted at Kansas State University. Inside Level-3 Biosafety Containment greenhouses from which no spore can escape, participants observed specialized plant inoculation and disease evaluation practices. The group then traveled to Bolivia, where researchers have been fighting wheat blast for decades and had valuable experience to share with the colleagues from South Asia. “In Bolivia, workshop participants performed hands-on disease evaluation and selection in the field—an experience quite distinct from the precise lab and greenhouse practicums,” said Singh, describing the groups time at the Cooperativa Agropecuaria Integral Colonias Okinawa (CAICO), Bolivia, experiment station. Other stops in Bolivia included the stations of the Instituto Nacional de Innovación Agropecuaria y Forestal (INIAF), Asociación de Productores de Oleaginosas y Trigo (ANAPO), Centro de Investigación Agrícola Tropical (CIAT), and a blast-screening nursery in Quirusillas operated by INIAF-CIMMYT. After the U.S.A. and Bolivia, the South Asia scientists took part in a two-week pathology module of an ongoing advanced wheat improvement course at CIMMYT’s headquarters and research stations in Mexico, covering topics such as the epidemiology and characterization of fungal pathogens and screening for resistance to common wheat diseases. 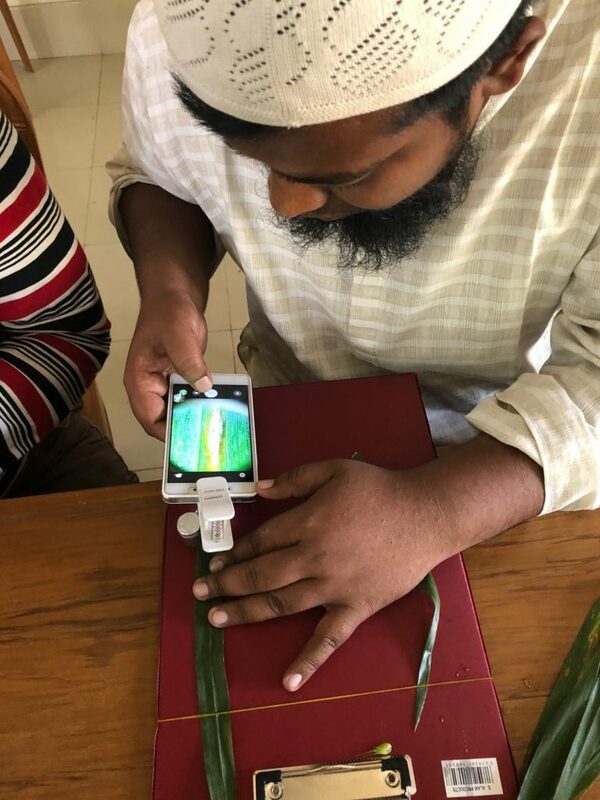 The knowledge gained will allow participants to refine screening methods in South Asia and maintain communication with the blast experts they met in the Americas, according to Carolina St. Pierre who co-ordinates the precision field-based phenotyping platforms of the CGIAR Research Program on Wheat. 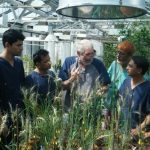 The latest course follows on from a hands-on training course in February 2017 at the Wheat Research Center (WRC) of the Bangladesh Agricultural Research Institute (BARI), Dinajpur, in collaboration with CIMMYT, Cornell University, and Kansas State University. Participants in the July course received training from a truly international array of instructors, including Kerry Pedley and Gary Peterson, of USDA-ARS, and Christian Cruz, of Kansas State University; Felix Marza, of Bolivia’s Instituto Nacional de Innovación Agropecuaria y Forestal (INIAF); Pawan Singh and Carolina St. Pierre, of CIMMYT; Diego Baldelomar, of ANAPO; and Edgar Guzmán, of CIAT-Bolivia. Funding for the July event came from the Bangladesh Agricultural Research Institute (BARI), the Indian Council of Agricultural Research (ICAR), CIMMYT, the United States Agency for International Development (USAID) and the Bill & Melinda Gates Foundation (through the Cereal Systems Initiative for South Asia), the Australian Centre for International Agricultural Research (ACIAR), and the CGIAR Research Program on Wheat. Protective gear minimizes the chances of transferring infectious spores. Photo: Chris Knight/ IP-CALS, Cornell. 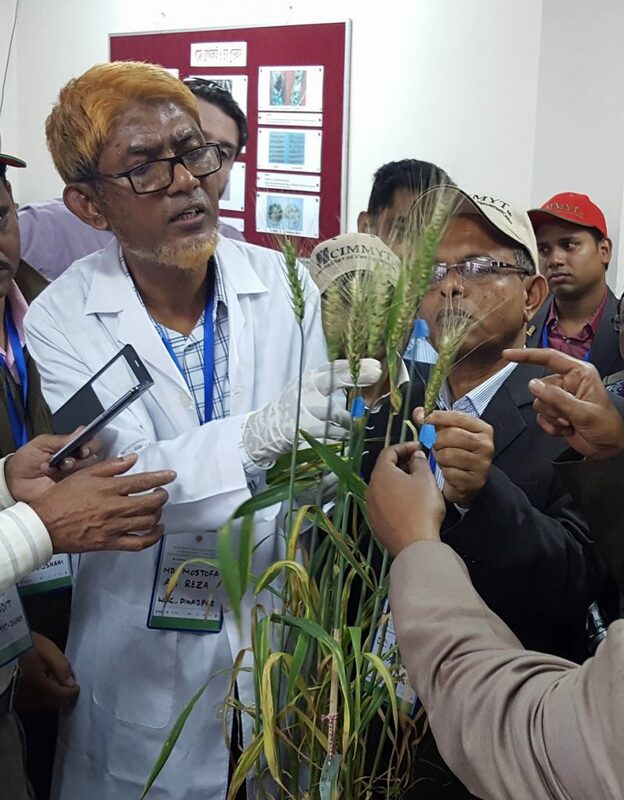 DINAJPUR, Bangladesh (February 17,2017)- Wheat blast, a devastating fungal disease that appeared in South Asia for the first time in 2016, was the focus of a surveillance workshop in Bangladesh where international experts trained 40 top wheat pathologists, breeders, and agronomists from Bangladesh, India and Nepal. 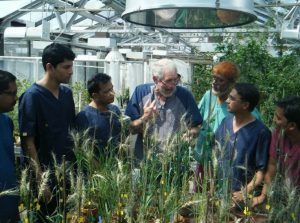 The two-week program, “Taking action to mitigate the threat of wheat blast in South Asia: Disease surveillance and monitoring skills training,” was held at the Bangladesh Agricultural Research Institute (BARI) Wheat Research Center (WRC) in Dinajpur, Bangladesh, February 4-16, 2017. Wheat researchers from BARI, Cornell University, the International Maize and Wheat Improvement Center (CIMMYT), Kansas State University (KSU), and the Bangladesh Agricultural University (BAU) led the workshop, training participants to recognize, monitor, and control wheat blast.